The protest fatigue has set in. 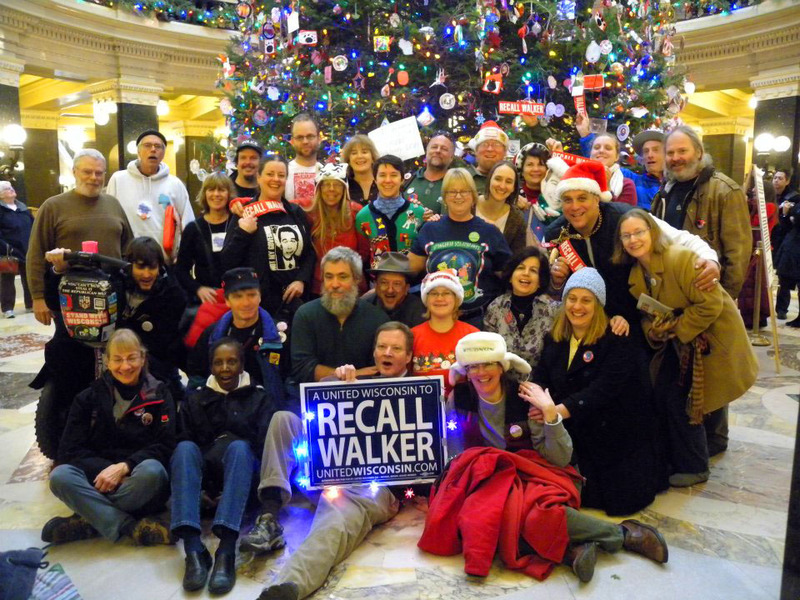 We are merely days away from historic recall elections in Wisconsin. 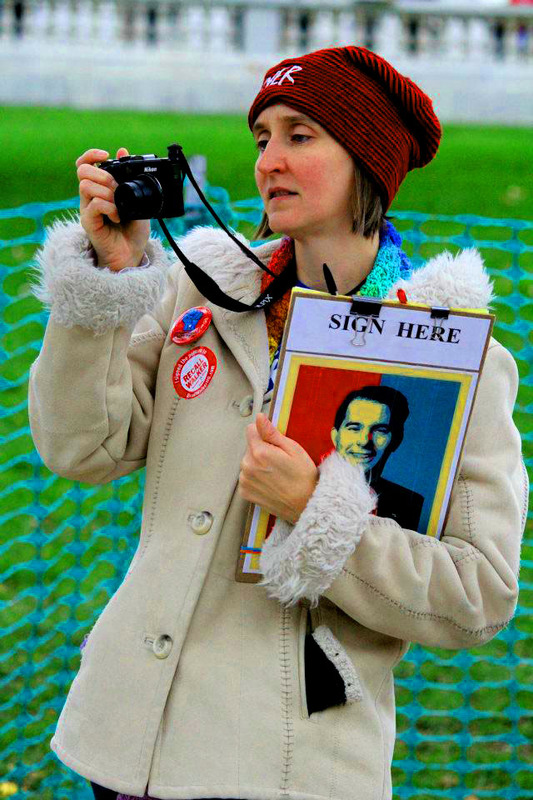 I have rallied, sung, created signs, documented, shared relevant news, reported relevant news the media did not cover, collected signatures, and encouraged voters. Was it enough? Will it hold up to GovernEr (his spelling, not mine) Walker’s out-of-state, special interest money? Can we break his propaganda machine? Will we trust the outcome of the election with people like the Waukesha County Clerk overseeing the results? Tensions are high. I feel like I have more riding on the outcome of this election than Tom Barrett. Never before have I invested so much of myself to any cause. In February 2011, I couldn’t even have told you who my senator or assembly representative was. I didn’t care much for politics, though I did vote. By March 2011, the “divide and conquer” strategy of our governor seemed to be working. When I told my father, a longtime Republican, that I was going to the rally where the 14 Democratic senators would be appearing after returning from Illinois, my dad flipped me the bird. Divide and conquer. Thanks, Scott Walker. If Walker wins on Tuesday, he wants to change the Wisconsin Constitution (which he should start following first) to change the way recalls are handled. He thinks we will end up in a never-ending recall cycle. I don’t see that happening. While we have had recall elections on both sides of the aisle this last year, only one side has actually gained seats. The people of Wisconsin are irate with the current leadership. We have had the right to collectively bargain taken away. We have been subjected to education cuts at all levels. We have been removed from BadgerCare. We have had the Homestead Credit taken away, while businesses got tax breaks. We have watched our legislators sit mute while being asked about the redistricting process, only later to learn that they signed secrecy agreements. That fiasco ended up in court and cost the taxpayers almost one million dollars. 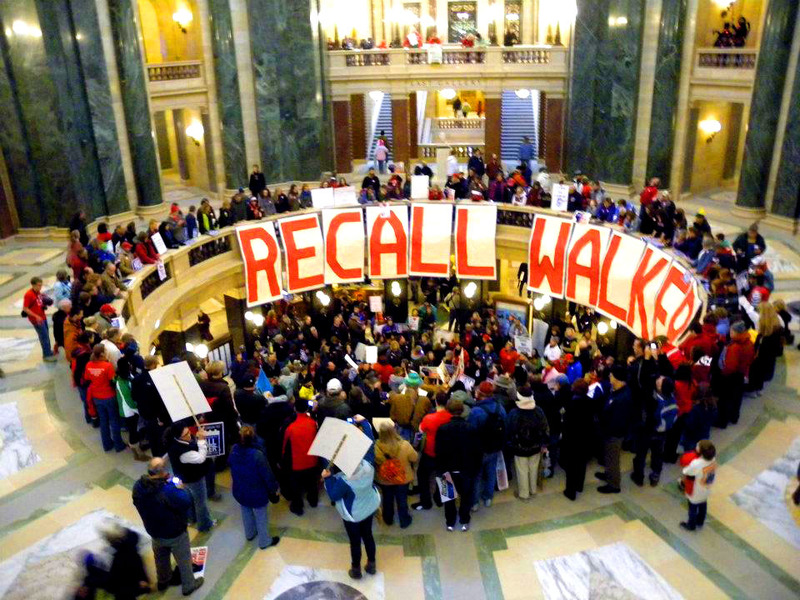 But Walker – who wants us to report waste, fraud, and abuse – thinks the recalls aren’t necessary? I am not a Democrat. But, at least in Wisconsin, the Democrats appear to be on the side of the people this time. I have met so many concerned and frustrated people this year. I have marched with you, sung with you, rallied with you, and if you ever met me personally, I have probably taken your picture. I have seen my new friends stepping up to the plate and some even throwing their own hats in the ring to run for office. I can tell you this: the Republicans do not match us in passion and dedication. They tried to rally their own troops to force recalls but they failed: either in the gathering of the signatures or the turn out at the polls. 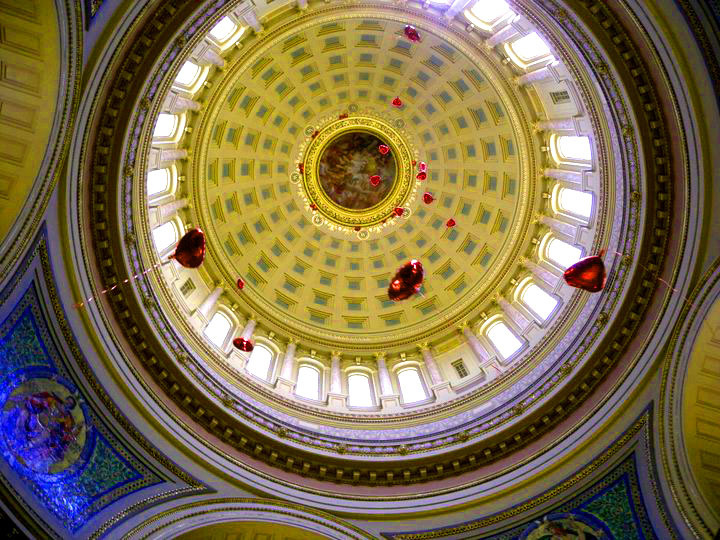 Take heart, fellow Badgers, no matter who wins the recall election, we will win in the end. Wisconsin will never be the same. We will never be the same. There is no going back to what once was. Change is inevitable. 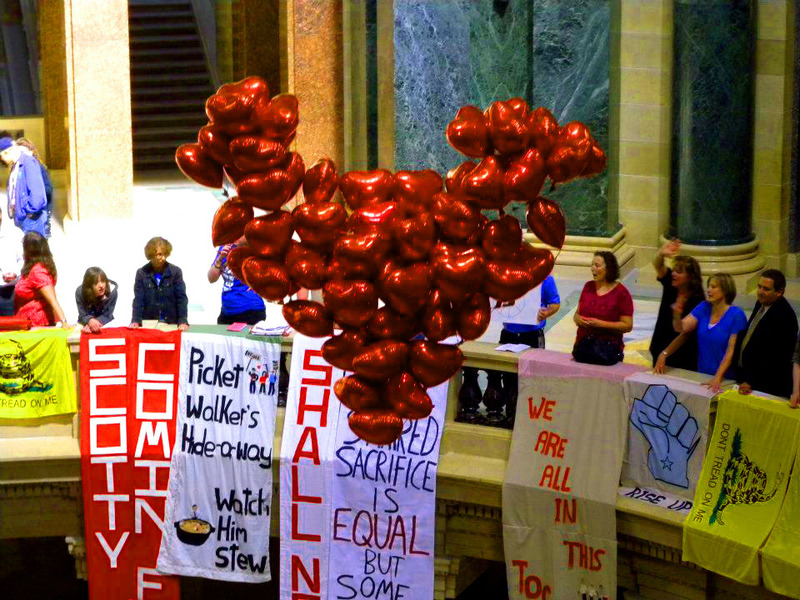 Thank you for this, Lisa, and for being such a faithful chronicler of the uprising against 1 Percent Walker and his enablers. Lisa…this was one beautiful read…thank you so much…remember…WE WILL WIN!!! Excellent Lisa. Just heard John Nichols Saturday in Baraboo. The finest and most animated history lecture/performance ever. He reminded us that it took Bob LaFollette a few tries before he was elected. That took a huge effort. Tomorrow we may not know the outcome, it may take weeks. The absentee ballots will be counted well into the night. We are here for the long haul. The Giant will not be sleeping again any time soon! We will prevail!